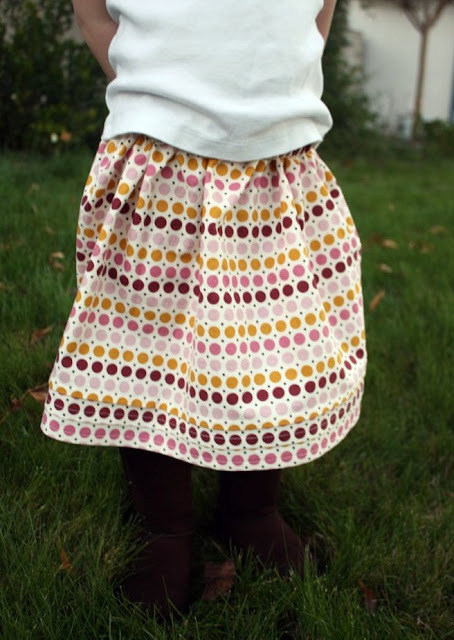 It’s fun to add the little details while sewing-a tuck here, a pleat there…it usually adds up to even more adorableness. This fabric didn’t lend itself the best to the tucks…but that’s ok-Sadie still loved it! 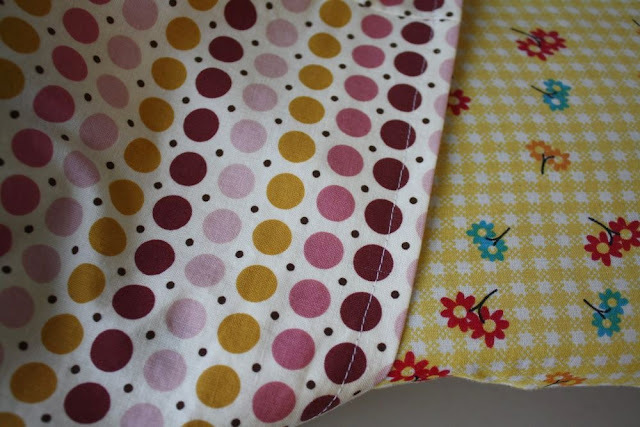 Fabric is Purple Dot, So Sophie line, by Riley Blake, from my sponsor, Ribbon Retreat! So, after you’ve hemmed your skirt…. …Fold the hem up with wrong sides of fabric together. Press where you’d like the pin tuck to start. 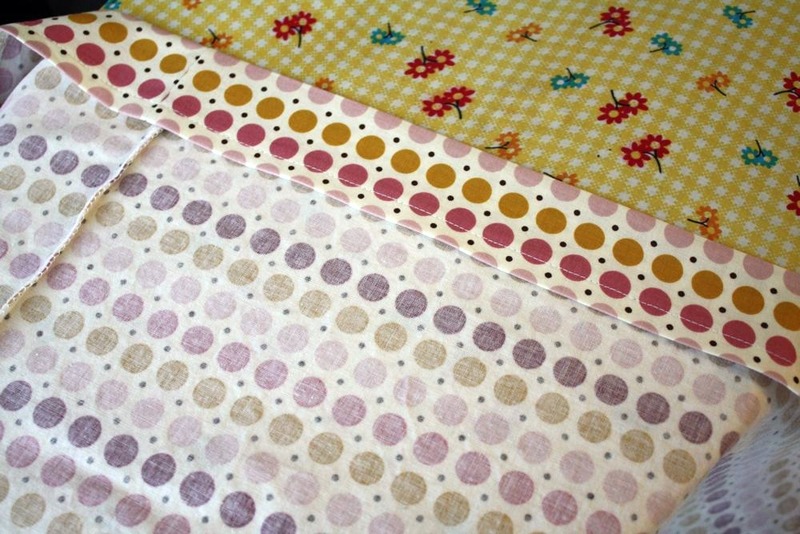 Sew along the pressed edge. 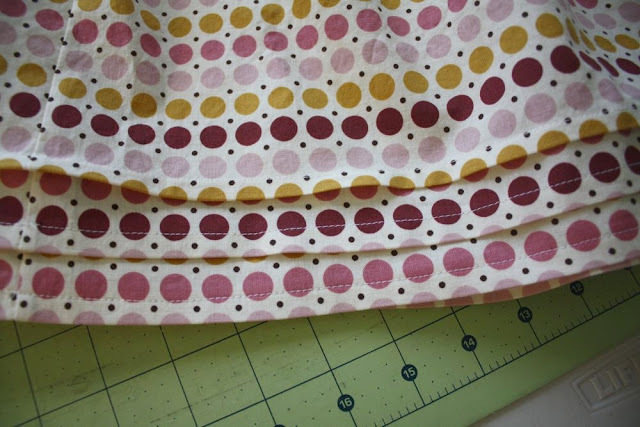 Then press the pin tuck down towards the hem, on the right side of the fabric. Add as many as you like! Make sure when you put your skirt together to add some length to allow for the tucks. It’s a cute detail that doesn’t take much time at all! 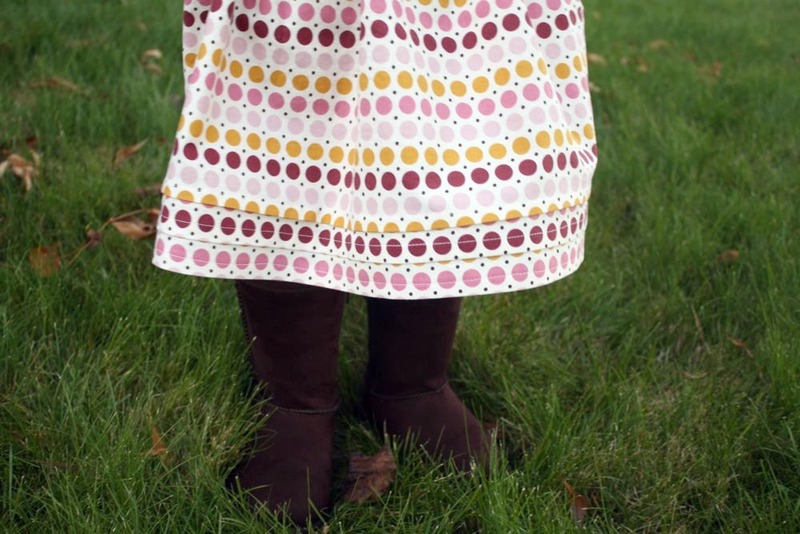 This method was used so skirts could be lengthened in the pioneer times. 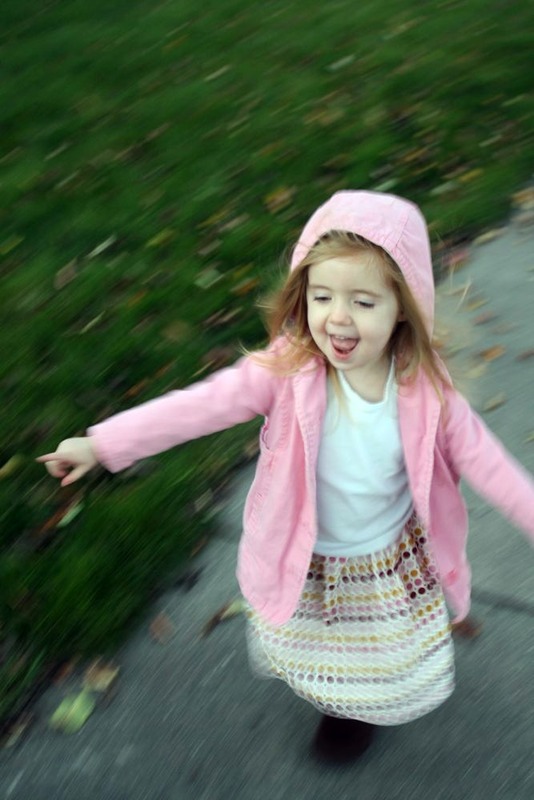 A dress or skirt could be made to last years! Ooh, lovely idea! 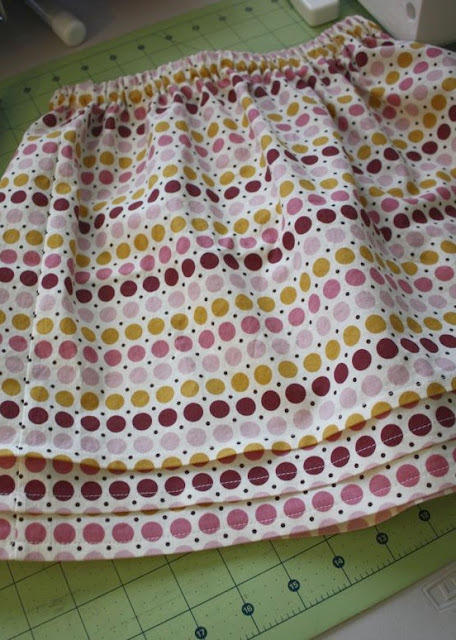 I’d never thought of this for adding later length to skirts, I usually just do an extra deep hem but this is so much nicer. For reference, I was wondering if you could tell me how big your pintucks are? Also, looks like a simple, basic skirt, did you use just the width of the fabric or did you use two pieces to make it fuller? It has a nice fulness to it, not too little not too much. Thanks.